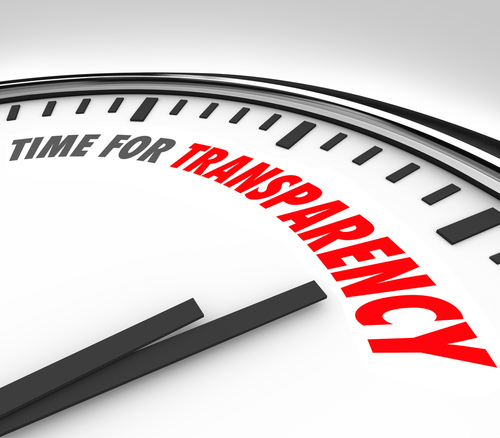 Home Transparent Tuesday	Supply chain transparency: a burden or a blessing in disguise? Supply chain transparency: a burden or a blessing in disguise? Apple Inc., over the last few years, has been in the headlines consistently, and not always for the right reasons. Indeed, their innovative technological releases still garner critical acclaim and earn them high profit margins, yet public perception of the company remains dubious. The corporation has not always dealt with the negative press in the most professional manner. Guardian journalist George Monbiot described Apple as “arrogant, lumbering and unaccountable,” in reference to, what was at the time Apple’s evasiveness regarding where and by what means it acquires its minerals for its smart phone manufacturing process. While Apple’s competitors were relatively forthright, and pledged to address the issue, Apple came off as being not so cooperative when talking to the Guardian writer. Regardless, it would seem Apple is now attempting to be more forthcoming. In February this year, Apple released its annual Supplier Responsibility Progress Report — Apple’s initiative to clear up any questionable supply chain decisions and unanswered allegations. Naturally such announcements appear timely in their efforts to clear the air, while at the same time indicate the weight consumer opinion and media scrutiny appear to carry—through warranting an eventual response. All publicly traded companies are obligated by law to reveal their supply chain operations in certain instances. Under the Conflict Minerals Trade Act, when using minerals which originate from the Democratic Republic of Congo or its nine neighboring countries, Apple must report whether their minerals “directly or indirectly finance or benefit armed groups”. It must declare this to the Securities and Exchange Commission, as well as publish their findings on its website. Putting this into the perspective of modern supply chain management, such proceedings raise several questions. The most apparent being: Should companies be forced into being transparent, i.e. do enterprises of varying sizes need the firm, and perhaps at times over bearing hand of government? Or can firms be given the benefit of the doubt to hold themselves accountable, when there is growing consumer awareness and a genuine demand for guaranteed, ethically produced and sourced products? At the time of writing this blog, the results of a survey conducted by PricewaterhouseCoopers of 700 companies revealed that 90% of companies surveyed are not finished drafting their initial findings of whether there are conflict minerals in their supply chains; they seem highly unlikely to meet the deadline of May 31st 2014 to report to the SEC. This may provide an initial answer to the question posed above. Ongoing studies and breaking news would seem to suggest, if firms are not held accountable, and demonstrate they are fully aware of the workings of their supply chains, things can be overlooked. The enduring horror that slavery still exists in the 21st century is a prime example of this. Findings uncovered by the supply chain risk firm Achilles, showed that as manufacturers moved down their supply chain processes to second tier suppliers, they became increasingly uncertain and unable to guarantee that their supply chains were free of forced labor. The UK government hopes to change this with new laws—still in the process of being drafted — that would include legislation making companies “report on measures they have taken to eradicate modern slavery from their supply chains, ensuring that goods and services sold in the UK are free from the taint of slavery and supporting those firms that already perform well in this area.” Firms would also, like the conflict minerals bill, need to publish this information on their websites. Of course all of this is being done in the hopes of encouraging transparency and to avoid malpractice. In addition, the latest report on the Modern Slavery Bill contradicts the commonly held belief that ensuring an ethical supply chain costs businesses more. It is in fact more economically beneficial in the long term to invest and ensure a more ethical supply chain and encourage transparency as it mitigates risk. British retailer Marks and Spencer were quoted in the report as noting: “trust was ‘a key part of [their] competitive advantage’”. Transparency is here to stay, whether actively enforced by laws or through consumers voting with their wallets. How willing a company is to be open remains to be seen. Government legislation, such as the Conflict Minerals Trade Act and the Modern Slavery Bill, are pushing companies to become more transparent. Should this be the case, or do you believe companies should be left to decide for themselves how transparent they want their supply chains to be? The simple truth is that your vendors have vendors who have vendors…and you may not realize how far reaching it goes. Is company A really supposed to know what is happening with Vendor L’s 8th supplier? Or does the supply chain make us all responsible for each other? I whole-heartedly agree. The idea of supply cniahs competing with each other is a classic example of people, focused on the experiences of giant multinationals, confusing metaphors with reality. Giant companies may be able to think about and even influence what happens in their supply cniahs’ because they have enormous amounts of power. However, even the largest MNCs have difficulty projecting influence below first tier suppliers. Moroever, giant companies are strange anomolies of only limited importance to modern economies in which the majority of companies are tiny SMEs. They will know their immediate customers and their immediate suppliers, but few will have any interest in or time to gain knowledge about any supply cniahs’ that they might be part of. So if most companies do not influence the supply cniahs they are part of, or are not aware that the cniahs exist, in what sense are these metaphorical cniahs’ competing with each other? Giant companies at the end of some cniahs’ may be competing, but the rest of the chain is just supplying stuff. This problem is not new and anyone claiming to be surprised at the working conditions of many of the lower tier suppliers is lying. The worst affected countries have been at war for decades, if not centuries, deliberately destabilized by the US and Europe to ensure low cost supplies – Conrad’s ‘Heart of Africa’ is fiction based upon fact. Western companies from GAP to Primark and others have refused to pay compensation after the collapse of factories in Bangladesh. Supply chains have been deliberately constructed so that corporations can exploit labor and claim that it is not their fault, passing the responsibility to their suppliers. Apple and others will claim that they see regulation as a blessing because it looks bad if they say they don’t care if people die in the supply and manufacture of their goods but the appalling truth is that they don’t care or they would have fixed these problems a long time ago. Reading of the workforce in the US and Europe in the 19th century, there are cases of slavery, murder, starvation. Current problems are not new, they have simply been moved to another continent. The big question is how will the G20 cove up its need to abuse within the changing legislation and public revulsion at human abuses. This a great article. I found your knowledge and perspective on modern supply chain management interesting.